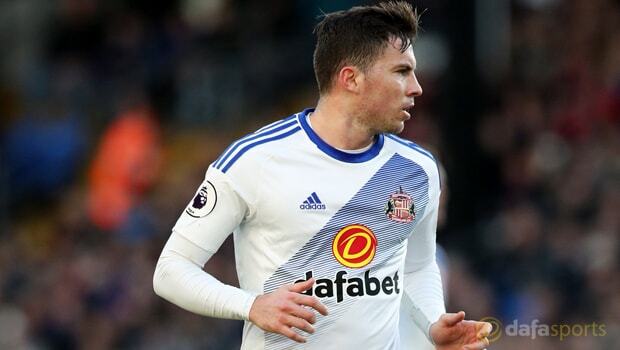 Bryan Oviedo concedes Sunderland will need to become more clinical in front of goal if they are to survive in the Premier League this season. The Black Cats currently sit bottom of the standings and after years of flirting with the drop, appear as if they may finally fall through the Premier League trapdoor. While effort and application has not been an issue for David Moyes’ side, quality, especially in the final third, often has. Saturday’s 1-0 defeat at Watford marked the fifth straight game they have failed to score in and they now sit eight points adrift of 17th place Swansea with only nine games to go. The first of those outings sees them face resurgent Leicester on Tuesday and they are the 6.50 underdogs to triumph at the King Power, with the Foxes 1.50 and the draw 4.00. Oviedo arrived at the Stadium of Light in January and has quickly established himself as a regular, having previously worked with Moyes at Everton. The Costa Rican has urged his team-mates to learn from their recent mistakes and find ways in which to finally end their current scoring drought. “We need to believe in what we do because everyone is doing their best,” said Oviedo. “We have a lot of options and we need to score goals. “We need to keep fighting and stay together. We have to look at what happened and make it better for the next games. “We have nine games and a lot of points to play for, we need to show a strong mentality.